See Installing C# dll files, reminder for details of installing the supplied dll files, which provide much better performance for large frames. If these are not installed the spreadsheet will default to the built in VBA solver. 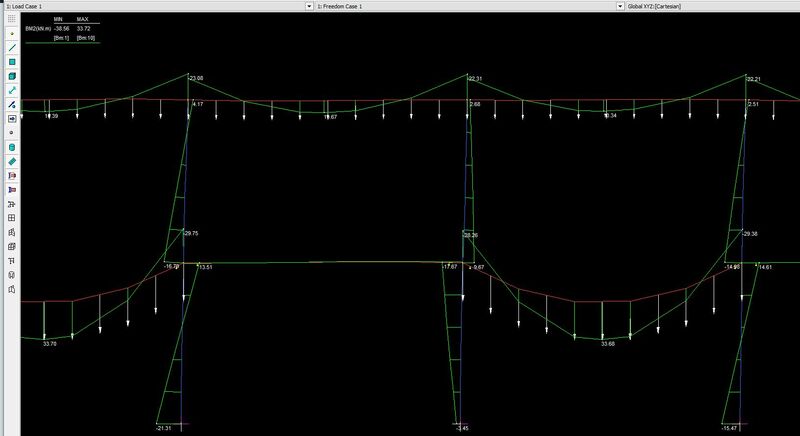 The spreadsheet also allows a lot of the frame deflected shape, and plots of arch actions and/or deflections along any slected beams. 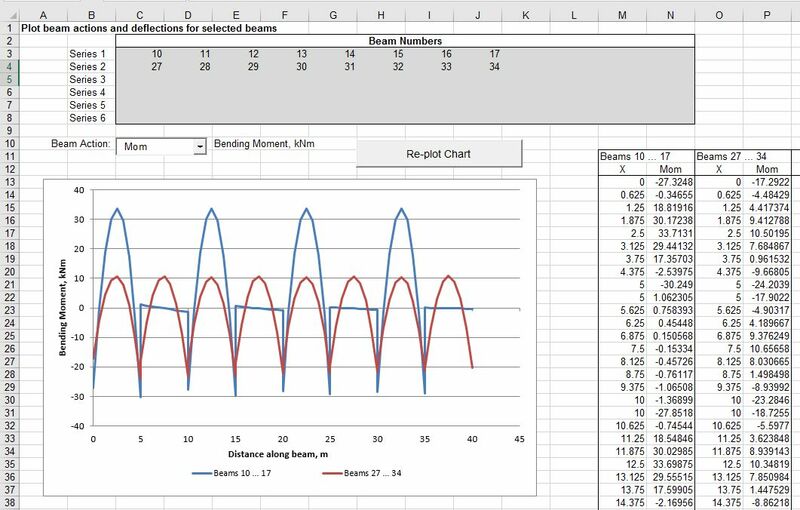 This entry was posted in Beam Bending, Excel, Finite Element Analysis, Frame Analysis, Link to dll, Newton, Strand7, VBA and tagged Excel. 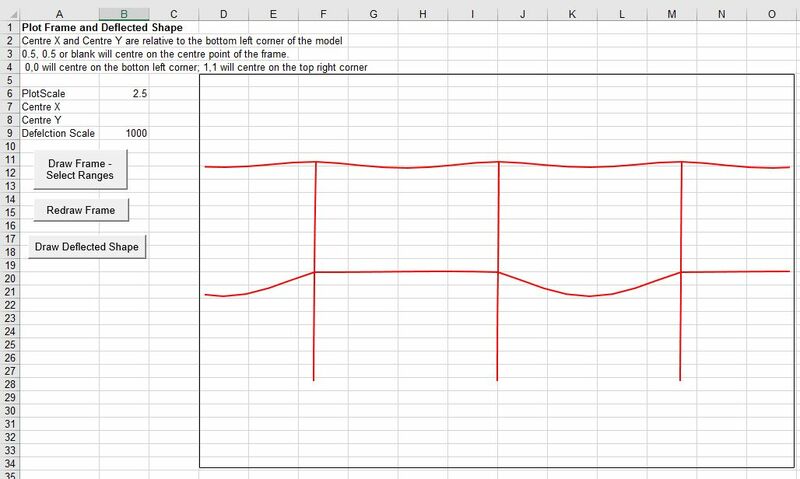 VBA, Frame Analysis, moment release, spring hinges, Strand7. Bookmark the permalink.